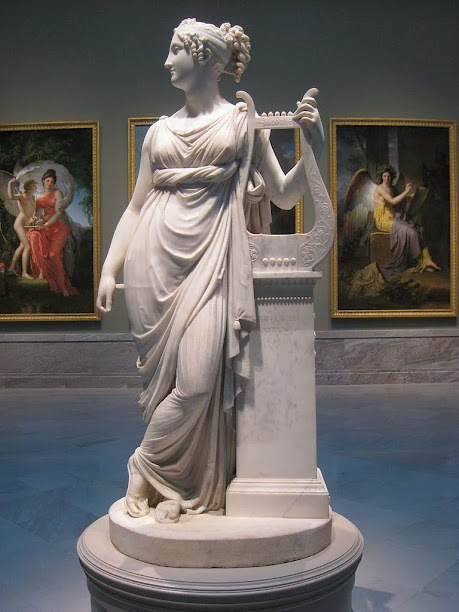 Some of the muses were thought to be the source of rhythm and melody in poetry, singing and instrument playing. Hence the word “music,” the art of the muses. 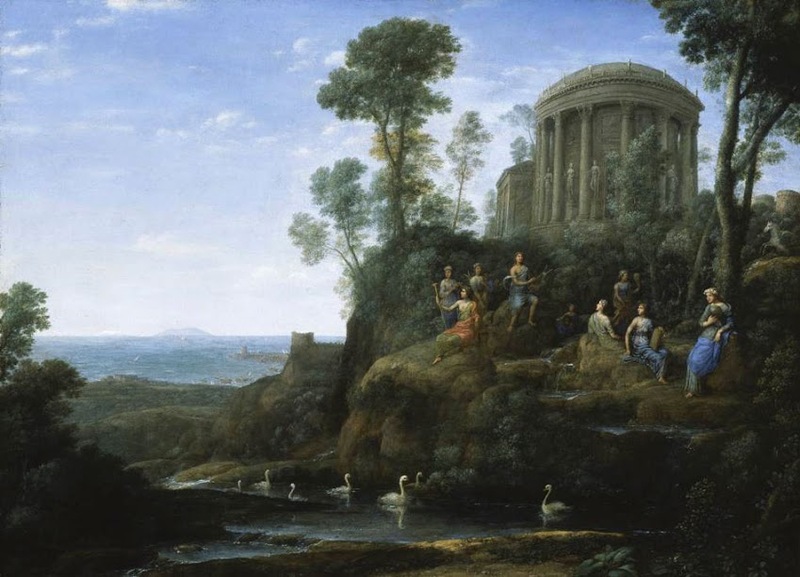 Since the muses are goddesses, they were worshipped at a temple or shrine, which came to be known in Greek as a “mouseion,” a “seat of the muses,” which became “museum” in Latin. So museums are not just places where objects are kept. They have always been places of inspiration, where knowledge and creation go hand in hand. In addition to being sources of inspiration themselves, the muses had a special friend, which can be seen in the top right-hand corner of the painting above — the winged horse Pegasus. Among its many attributes, Pegasus was said to have created a water spring on Mount Helicon by striking the ground with his hoof. 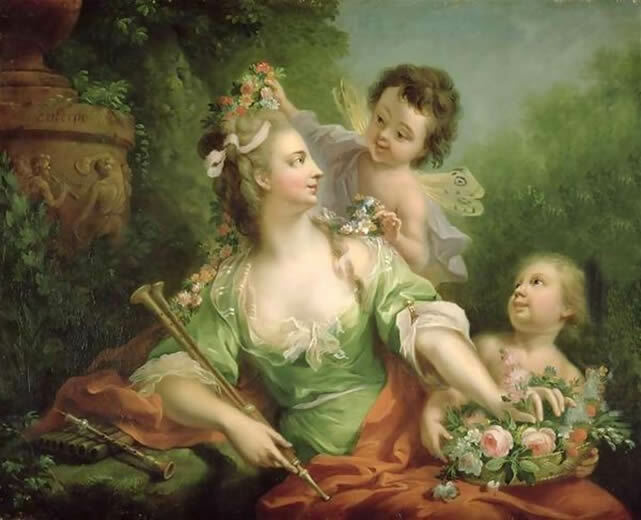 This spring, which can be seen flowing in the paintings above and below, became the source of inspiration for all writers. So, if you find yourself looking at a female form holding a tool of art or science in painting or sculpture, you may be looking at a muse. If there are nine of them, you can be sure they are the nine sisters, whose gifts are many.